We're here to help you Experts in self storage and dedicated to offering the best customer service Our friendly, professional advisers in store and on the phone are experts in their field and can help you every step of the way through your storage journey. 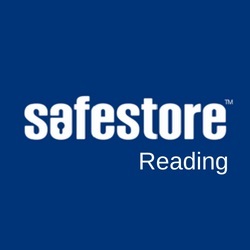 Safestore is proud to have been awarded a 'Gold Trusted Merchant' award for the last 4 years, most recently in 2017, by Feefo (an independent customer service rating system), commending our ability and commitment to making customers happy. Barrett & Co Solicitors Reading For over 30 years, we’ve provided personalised, specialist legal advice to a wide range of individuals and small-to-medium businesses. Our experienced lawyers work closely with every client to understand their issues, and provide effective solutions through a diverse legal services portfolio covering individuals and businesses. Based in Reading, Berkshire, we offer a professional, friendly and competitive service that’s based around you.